I’ve always wondered about Glock’s weird naming scheme. I’ve asked a few people and read through online forum posts about it, but even with all the answers I got, it never really made sense. Case in point, the Glock 20 and the Glock 21 both have “2” as their first digit, and except for the fact that both handguns have nearly the exact same specs, they are two very different handguns by virtue of the cartridge they use. But you didn’t really come here to read about Glock’s naming scheme, did you? (At least we hope you didn’t — we don’t intend to dig too deep about something so trivial). 3 Another Glock vs. Glock comparison… why? Ah, at last we get to know more about the powerful 10mm Auto. And even if it can be easily done, why it would be kind of pointless to convert either the Glock 22 and the Glock 23 to accept .357 SIG rounds (unless you’re the type who likes to fix things that aren’t broken). The .40 S&W and the .357 SIG are both in the higher end of the ballistics performance spectrum as far as handgun calibers go, meaning that while both have their fair share of pros and cons, both can be really effective for their intended purpose: self defense. But if you didn’t know, both rounds wouldn’t have come to existence if the FBI didn’t choose the 10mm Auto as their next service handgun cartridge in 1989. 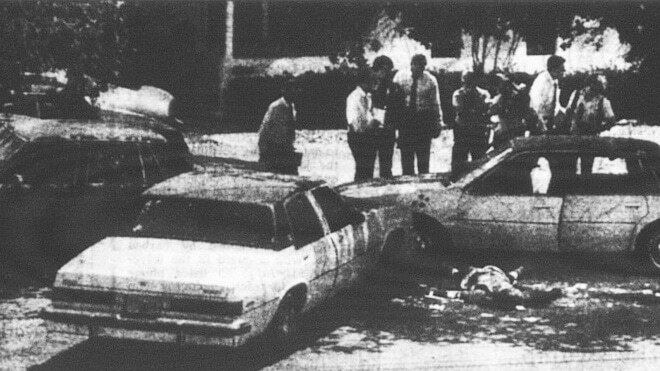 Not a lot of people might be aware of it, but after what many consider to be the most violent FBI shootout in Miami in 1986 that led to the death of two FBI agents (and five other agents wounded), the need for a semi-auto handgun cartridge more powerful and more effective at stopping bad guys than the 9×19 Parabellum arose. The FBI agents used shotguns, 9mm pistols and revolvers chambered in .357 magnum and .38 special in that gunfight. Whether or not those handgun rounds’ abysmal ballistic performance was the reason for the agents’ failure to defend themselves against the two criminals they had a gunfight with remains questionable, at least to me. 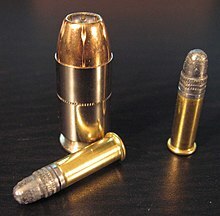 As far as I know, the weakest of the three, the .38 special, loaded with enough powder to propel a 158-grain lead semi-wadcutter hollowpoint bullet at speeds of ~1,100 feet per second out of a 4-inch barrel, should be more than enough to stop any bad guy provided the operator is capable of good shot placement — otherwise Massad Ayoob wouldn’t recommend it. Whichever the case may be, the FBI wanted a powerful handgun caliber in the aftermath of the shootout. They decided to choose the 10mm as the handgun caliber for their service pistols three years after the blood bath in Miami. Out of a 4.6-inch barrel, the 10mm cartridge can propel a .40-inch diameter 180-grain bullet at speeds of ~1,300 feet per second. It’s about as powerful as a heavy and hot-loaded .357 magnum or an entry .41 magnum load. Unfortunately, the 10mm proved a little too powerful that its recoil was borderline unmanageable (especially for FBI agents with shorter stature and smaller hands), that Smith and Wesson offered to down-load it a few years later for the FBI’s use. It resulted in the birth of the .40 S&W. Because of its power and the recoil that comes with it, the 10mm can’t be considered practical for military, law enforcement or civilian self defense use. Thus, it never gained the traction it needed to become as popular as its .40 “Short & Weak” offspring. But for hunting and self defense against two-legged critters in bear country, the 10mm can be really effective. It has gained a loyal fan base and has seen a resurgence in the last few years, so while ammo wouldn’t be as cheap as other more common handgun cartridges, availability won’t be an issue. The .45 acp needs no introduction. Or maybe it does? Like the 10mm, the .45 acp also came about as an attempt to fill a need for a more powerful handgun caliber. Also like the 10mm, it eventually superseded the handgun cartridge the government previously issued — just at the time, it was the military that needed it, not the feds. 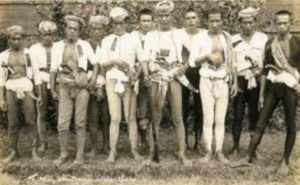 During the Moro Rebellion that started in 1899, the US Cavalry only used .38 Long Colt-chambered double-action revolvers which proved ineffective against Philippine Muslim insurgents super-charged with adrenaline and were then locally known as the Moro Juramentados. These curvy-blade-wielding badasses were blinded by rage and religion, unrelenting and unyielding that even after being shot six times with .361-caliber bullets, they would still keep fighting. 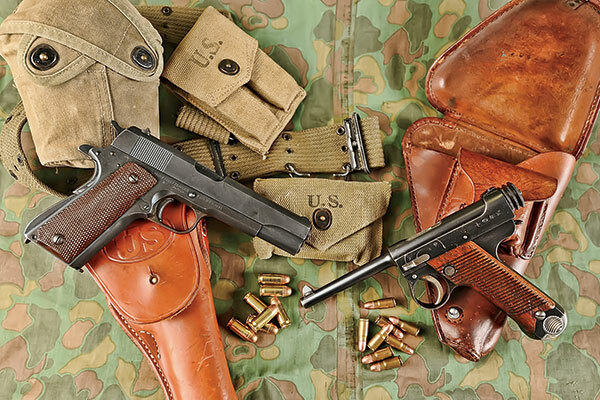 It was around this time when John Browning designed a .45-caliber cartridge to answer the military’s demand for a wider diameter bullet for use against the Moros. It passed all the rigorous tests the US military put it through. After some tweaks from a few different ammunition manufacturers, it was dubbed the .45 Automatic Colt Pistol cartridge in 1905. While the M1911 pistol, a handgun also designed by John Browning a few years after to chamber the .45 acp, was never actually used for its original purpose of stopping the Moros (because mass production only started in 1912, and the handguns would only reach US Army units a year later, just right after the last of the Moro battles was won), it quickly became popular in World War I. And perhaps ironically, the people it was designed for, the Moros, were eventually armed with M1911s and Thompson submachine guns by the US Military (both chambered for the .45 acp) to help Filipinos win the war against the Japanese during World War II. The .45 acp can send a 230-grain .45-inch diameter bullet flying out of the 1911’s 5-inch barrel with speeds of up to 850 feet per second. Ballistics-wise, while it isn’t going to be as powerful as the 10mm by any stretch, it has been a proven man-stopper in several wars and armed conflicts. Its ballistic attributes, together with its relatively manageable recoil, is what made it a favorite among the military, law enforcement and civilians all over the world for well over a century after it was designed. And with the myriad of different handgun designs chambered for the .45 acp still being manufactured today, ammo will never be an issue. 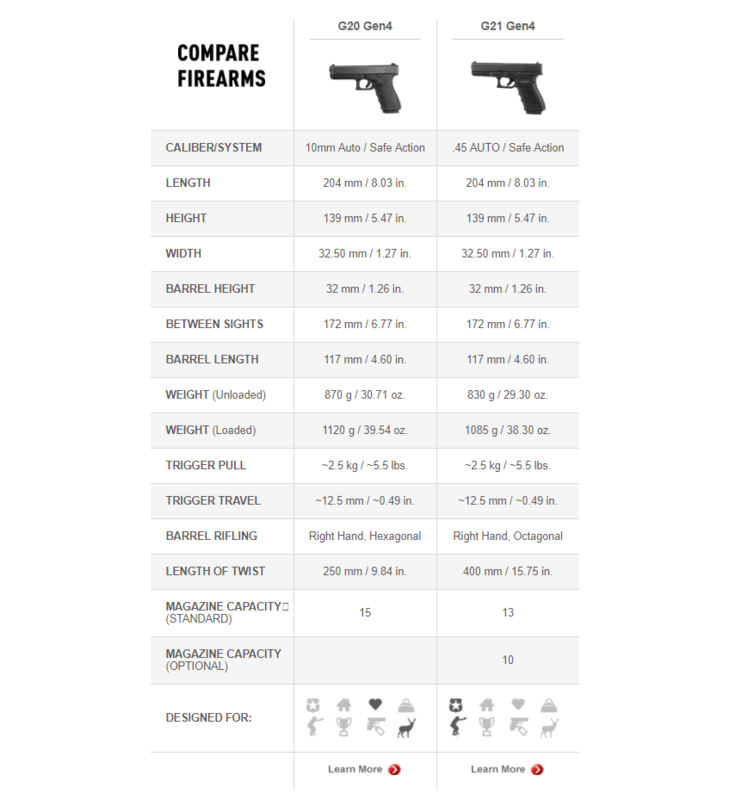 Another Glock vs. Glock comparison… why? Though these the Glock 20 and the Glock 21 are practically the same in terms of dimensions (the only difference being the guns’ weights and the rounds they’re chambered for), they do have a few noteworthy differences. Read on to know more. Length: 8.03 in. Length: 8.03 in. Height: 5.47 in. Height: 5.47 in. Width: 1.27 in. Width: 1.27 in. Barrel Height: 1.26 in. Barrel Height: 1.26 in. Barrel Length: 4.60 in. Barrel Length: 4.60 in. Sight Radius: 6.02 in. Sight Radius: 6.02 in. Weight (mag empty): 30.71 oz. Weight (mag empty): 29.30 oz. Weight (mag full): 39.54 oz Weight (mag full): 38.30 oz. Trigger Pull: around 5.5 lbs. Trigger Pull: around 5.5 lbs. Trigger Travel: 0.49 in. Trigger Travel: 0.49 in. Length of Twist: 1 in 9.84 in. Length of Twist: 1 in 15.75 in. Besides the insignificant differences in loaded and unloaded weight, the round capacity for each handguns’ stock mags (15 vs. 13), and the optional aftermarket mags available for these pistols, looking at the table we see a hexagonal barrel rifling on the Glock 20’s side, while on the Glock 21’s it’s an octagonal barrel rifling. The length of rifling twist for each handgun’s barrel are also different. What’s so special about polygonal rifling? There are two types of rifling in gun barrels: Lands-and-Grooves (i.e. the traditional type), and Polygonal. Each rifling type has its own set of pros and cons. Lands-and-Grooves rifling tend to be more reliable as the square grooves can “trap” microscopic lead shavings, ergo the barrel remains unobstructed even after several shots without the user having to clean the barrel too often. This means it will be a bit more reliable than polygonal rifling because it won’t have problems shooting non-jacketed bullets (e.g. cast lead), allowing for more bullet choices. But the problem with those square grooves is they allow for relatively more gases to “leak” outside the barrel’s business end, which results in velocity loss (slightly less muzzle energy, slightly less accuracy). Barrels with this type of rifling also exhibit wear relatively faster. The Polygonal rifling works the opposite way. Its wavy grooves allow for tighter contact between the bullet’s and the barrel’s inner surface, resulting in less gas leak and less velocity loss (slightly more muzzle energy, slightly more accuracy). It also exhibits relatively less wear compared to traditional rifling. Its downside is, if lead bullets are fired constantly through the barrel, without the square grooves of traditional rifling to “trap” the lead particles, there will be faster lead build up, which could result to catastrophic failure of the barrel. This is why in their website FAQs, Glock specifies to never use non-jacketed bullets. So why does the Glock 21 have longer octagonal rifling? All Glocks chambered for the .45 acp bullets require more polygonal surfaces to provide a better gas seal compared to all other Glocks chambered for smaller-diameter bullets (i.e. bullets with .40-inch diameter or less). The longer rifling twist results in less bullet spin frequency. 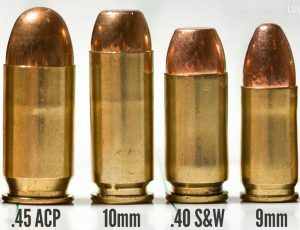 Considering that the .45 acp’s bullet velocity is on the lower end of the spectrum for handgun caliber ballistics performance, and the bullet’s dimensions don’t make it any better compared to other handgun caliber bullets as far as aerodynamics is concerned (it is a fat bullet which makes it comparatively short vis-a-vis the 9mm’s much thinner profile or the 10mm’s relatively thinner but longer bullets), it doesn’t need to spin as much. As far as we can tell, the longer rifling twist for all Glocks in .45 acp has negligible benefits, if any. We can only assume it’s a budget decision thing — in theory, barrels with longer rifling twists are faster to manufacture, which leads to faster turnaround and better productivity. 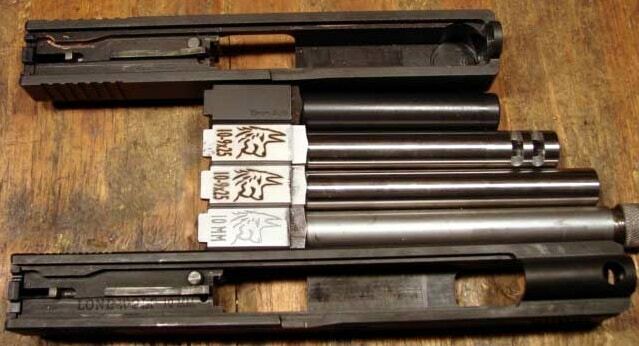 But the octagonal rifling of the same barrels takes longer. If Glock would go balls-to-the-wall with .45 barrel rifling twist and make it 1:9.84, they probably wouldn’t be able to sell their .45 handguns at the consumer-friendly price points they’re currently at. The Glock 20 out of the box has been reported by numerous owners to chamber and reliably shoot the .40 S&W aside from the 10mm. This would be a huge topic in and of itself, and since a reputable website has already done extensive testing and proven that it’s safe to shoot the .40 S&W from the Glock 20 without any type of aftermarket parts being installed, we won’t talk about it in too much detail. Suffice it to say, this makes the Glock 20 awesome. 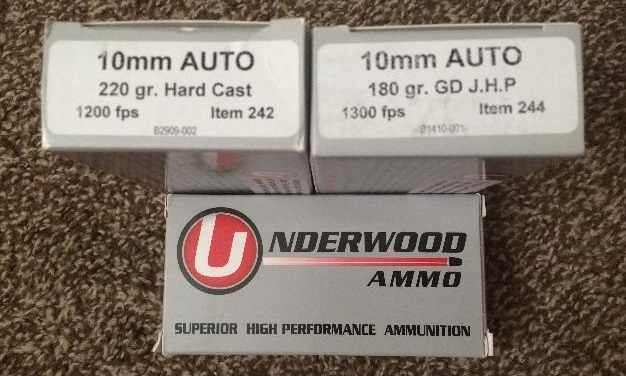 Being able to chamber two different .40-caliber rounds makes it great for a dual caliber platform, pretty much like how the .357 magnum can shoot .38 special rounds without issues. Disclaimer: Even if it has been proven safe by some random guy on the interwebz, shooting .40 S&W rounds in a stock Glock 20 is still not something we would recommend, because of how easy it is to just drop in an aftermarket conversion barrel, and we never know when Murphy’s Law might kick in. But if you still want to experiment with your Glock 20, you better be prepared to clean its barrel’s chamber far more often than you normally would if you were only shooting 10mm in it. 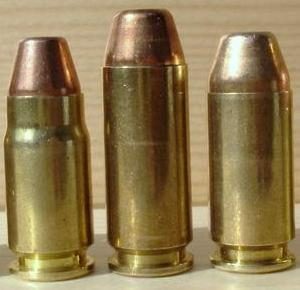 The reason for this is simple: the .40 S&W’s shorter overall length will force the bullet out of the chamber much earlier compared to the 10mm, and because of this, there will be that tiny gap between the chamber and the barrel where crud can accumulate, which will result in barrel fouling and eventually, a catastrophic failure. It’s the same dilemma owners of .357 magnum revolvers face when they shoot a lot of .38 specials in their wheelgun. Do it at your own risk. In addition, the Glock 20 can be converted easily to 9mm, .38 Super, .357 SIG and 9×25 Dillon (essentially a .357 SIG in steroids) with just a barrel and recoil spring swap (but it’ll need new mags for 9mm and .38 super). The Glock 20 can also be converted to the .45 acp but because its slide breech face and barrel hole are just too small for the .45 acp’s fat barrel to slide through, you’ll need a complete Glock 21 upper (which would essentially make it a Glock 21). Now if you thought the Glock 20 is awesome, the Glock 21 is even more awesome. For one thing, it can be converted easily to 10mm with only a barrel and recoil spring swap. And the Glock 20 upper is compatible with the Glock 21 lower, which would essentially transform it to a Glock 20 as well. The Glock 21 can also be converted to .50 GI, .400 Corbon, 10mm, .40 Super, .45 Super, and the .460 Rowland which is definitively the most powerful big-bore semi-automatic cartridge that can be used for regular-sized, compact and subcompact semi-auto production handguns (we are aware of the existence of other rather obscure handgun calibers like those the Wildey Magnums and the Desert Eagle use — those handguns don’t count). With all these conversions, we would be tempted to say both handguns are about even. But if we don’t count conversions using complete upper assemblies (i.e. the slide, barrel and recoil spring), the Glock 21 can be easily converted to six different calibers while the Glock 20 can only be easily converted to four. And if we look at each of the above-mentioned handgun calibers’ ballistic performance, we’ll notice that the more powerful caliber conversions are also on the Glock 21. These are both Glocks. Availability for upgrades won’t be an issue. And both have the same accessory rail in front of the frame so you can attach a laser or a flashlight if you want. Regarding concealment, Glock isn’t marketing any of these two pistols as conceal-carry weapon (CCW) options because both are full-sized handguns. The subject of having a full-sized Glock handgun was covered in Round 3 of this Handgun Showdown series, check it out if you want to know more. You can still try and conceal either pistol, but it’s totally up to the type of clothing you’ll wear and what holster you’ll use. As for me, if I wanted an easily concealable Glock in 10mm, I’d get the Glock 29. If I want an easily concealable Glock in .45 acp, I’d get the Glock 30. Nothing much can be said about pricing. Both handguns are priced exactly the same, info taken from Glock’s website. The Gen4 variant for each costs $599, while the Gen3SF (short frame) variant for each is a bit cheaper at $547 base price. If you want to know why the Gen3s are cheaper than the Gen4s, You can find them here. If not, feel free to jump to the Conclusion. Ah, it’s conclusion time again. I can talk all day about how the Glock 20 can be better than the Glock 21 and vice-versa, but I’ll try and sum everything up in a few bulletpoints. Or if you’re a recent 10mm cult convert. If you fancy doing barrel conversions for any of these six handgun calibers (because you want the more powerful conversion options): .50 GI, .400 Corbon, 10mm, .40 Super, .45 Super, and .460 Rowland. If you run into some deranged Czech sporting a 14-round 7.5 FK BRNO (a crazy-expensive handgun that fires a .29-caliber bullet with .44 magnum ballistic performance) and you want the best possible double stack .44 magnum-class semi-auto plastic handgun to even the odds… uhm yeah I think this is highly unlikely because Czechs are smart. But you get the point. For all intents and purposes, both handguns are about equal, which makes this showdown a wash. The Glock 21 in my opinion has the slight upper hand, if only for the fact that you can easily convert it to shoot 10mm without having to purchase the Glock 20’s full upper. The same thing can’t be done with the Glock 20. 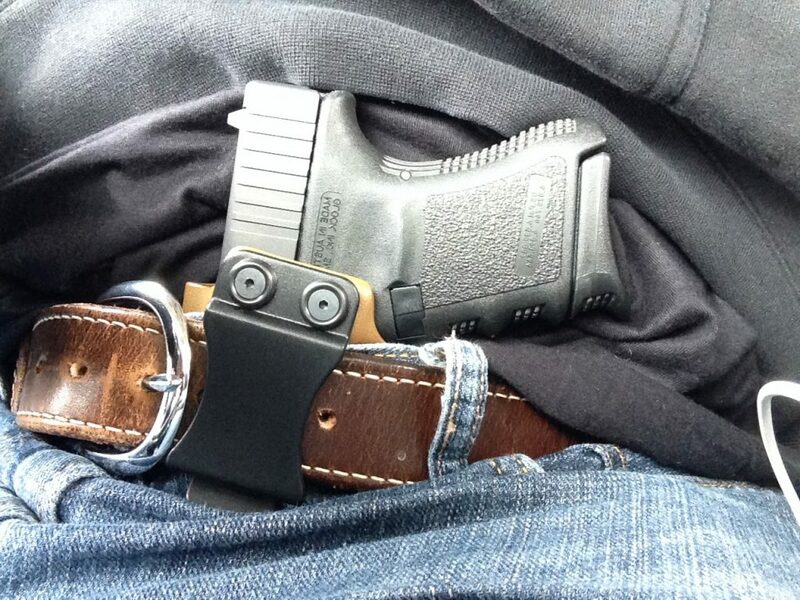 If you’re interested in one of these, or even both of them, make sure to check out the best Glock shoulder holster. But all barrel conversions aside, what it all boils down to is your intended purpose. Great Pro / Con write up. I was always intrigued wit the .45 Super. I have a 21 gen 4, would I need a recoil spring change or just go ahead and shoot some .45 super as is. I know the Super has thicker brass, to handle the increased pressure. Thanks for reading the article. I’m happy to provide info on your inquiry. There’s a few things to consider if you want to safely shoot .45 Super out of your Glock 21 Gen4. Some people say the slide, barrel and recoil spring assembly have to be replaced. I think you don’t need an extra slide because that’s what you’ll replace the recoil spring assembly for. From what I know, Glock 21’s stock recoil spring weight is 17 lbs. You’ll need at least a 24-lb recoil spring to be able to shoot .45 Super without worrying that your slide will crack from the excessive force of the .45 Super’s recoil. If you have a 24-lb spring (or heavier if you’re shooting hotter .45 Super loads), you don’t need a stronger slide. As for the barrel, I believe Glock 21 stock barrels (even Gen4s’) don’t fully support the .45acp’s case head, but given the .45acp’s relatively low pressures (21,000psi SAAMI) it’ll be fine as long as you don’t load it with anything more powerful. That said, the .45 Super has 1/3 more pressure and without full case head support you run the risk of a kaboom not to mention you might lose a portion of your hands. Now back to the slide. If you’re not recoil shy and you’re okay with the .45 Super’s recoil, and the .45 Super barrel you end up buying isn’t ported, you have another reason not to buy a new slide. However, if you would end up hating its recoil at some point, you have the option to have the barrel ported, if this is the case you might want to get a stronger slide and have it ported too. Otherwise you should be able to get a barrel with an integrated muzzle brake. I’d recommend you contact Lone Wolf. I’m not updated with their prices but they should be able to outfit your G21 with the appropriate-weight dual captive spring+guide rod and a solid barrel with full case head support. 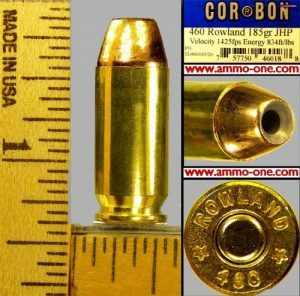 And while you’re at it, you might want to check out the .460 Rowland which is even more powerful than the .45 Super. If you’d be spending north of $300 to convert to .45 Super, you may as well just get a .460 Rowland conversion kit. You’ll love it. I love my g21 40 super great woods gun!!! Mike: Which are the 6 calibers the G21 can convert without a full slide assembly swap? You infer that the 50GI is one, but I’m not familiar with any 50GI conversions that aren’t full slide assembly conversions. I could very well be wrong, of course. Or maybe I misunderstood the 6. 400 Corbon is easy, followed by 45 Sup and 460. Good comparison overall, thanks!